At some point in your life, you or a loved one may find it difficult to manage at home. Aged care homes are available across Australia for older people who can no longer live at home and need to plan for long-term accommodation and care. 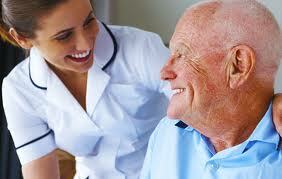 Aged care homes also cater for those who need short periods of care away from their home. This is also known as respite care. Whilst the Australian Government helps with the cost of residential aged care, those who can afford to do so, are expected to do so. The amount payable is dependent on income and assets. Every resident is asked to pay a contribution towards daily living costs eg nursing, personal care, meals, linen and laundry. An Income Tested Fee may also be payable and is calculated upon a residents income. This payment contributes towards the cost of your accommodation. Residents will only be asked to pay an accommodation payment if their assets exceed the maximum limit set by the Australian Government at the date they enter the facility for permanent residency. These payments can be an Accommodation Charge or an Accommodation Bond. A Specialist Aged Care Advisor will help you understand the various fees and ensure that you avoid making decisions that will have a negative impact on your financial well-being.